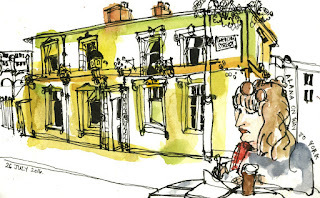 [By Len Grant, workshop co-leader and Manchester urban sketcher] I guess it’s no surprise that nearly 500 sketchers on the streets of Manchester are generating lots of interest. 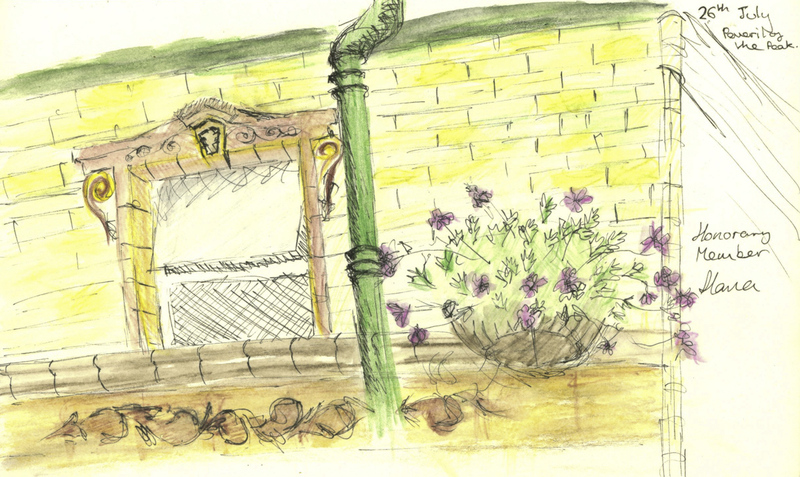 And we’re inspiring more would-be sketchers every time we get our sketchbooks out. 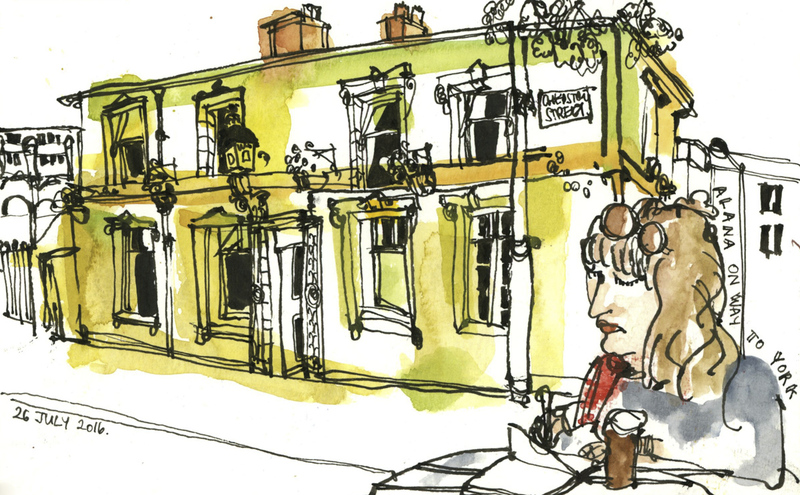 “What’s all this about?” asks the young woman sitting opposite Paul Wang and I as we start to draw outside The Peveril of the Peak pub on Tuesday evening. When she returns my book and eventually heads back to the train station I notice she’s signed her sketch ‘honorary member’. Brilliant. Show the world, one drawing at a time. Convert the world, one sketcher at a time.